I am a singer/guitarist with a rich, resonant, powerful voice. Throughout my career, I have played at large and small venues alike. 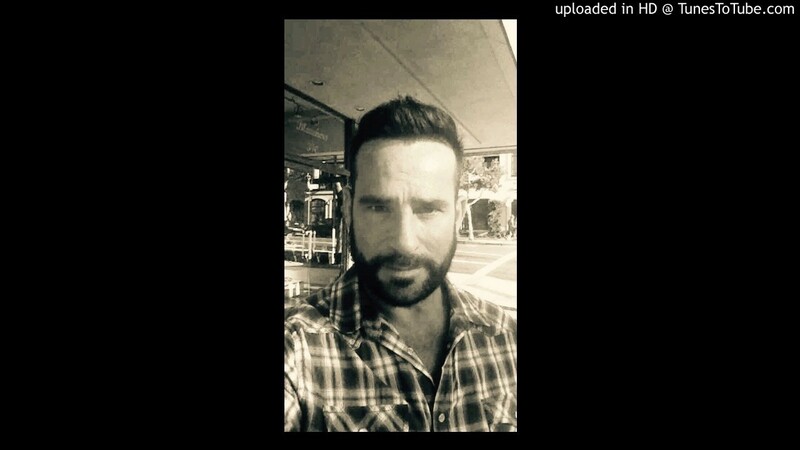 I perform a mix of Americana, country, folk, pop, and worship/inspirational music. I write songs, and have been told I often express cover songs as well as the original artists. I also officiate for weddings, funerals, and events. Expressing myself with passion from the heart is what I enjoy and what I want to bring to your event! I'm very interested in providing what you have in mind. Amazing Performer - Will Exceed your Expectations! I wanted to do something special for a friend's 50th birthday and came up with the idea of a singing telegram. I knew I didn't want a hokey costumed singer and was thrilled when I found Bob. His reviews were fantastic and he lived up to everything that had been said about him. From the start, he was a pleasure to work with. When we first spoke, he explained his background, that he loves to perform and to make this super special for my friend, he would write a song that was all about her. Communication with Bob was great. We spoke on the phone several times and texted back and forth so he could get as many details as possible about the birthday girl. He touched base the morning of the event to make sure we were still on track and kept in touch up until the time he arrived. Bob had to perform in a very loud and crowded bar which wasn't ideal but he did fantastic. He kept close to the birthday girl and made sure she knew this was just for her. The song was amazing and once she realized it was about her, she was truly touched. It was such a special gift that I know she will never forget. I can't thank Bob enough for being so fabulous and so affordable! Sally, oh Sally... This was just too much fun! And so touching... When Sherry started crying during her birthday song, it almost made me start crying... Such a memorable time. Thank you for having me take part in it. Hands down--Best Singing Treasure in Town! Hands down, the best singing telegram gift you can give someone--and no monkey suit needed! Bob contacted me right away, and let me know that he offered something unique. Instead of the funny monkey suit or Elvis costume, he would put together an original song for my friend. I gave him a description of her and had fun adding detail and memories about her, letting Bob know that I wanted a memorable experience for my BFF who was turning 40. He quoted me a great price and we went from there! In a crowd of 18 women ready to have fun, Bob delivered an inspirational and loving tribute to my longtime friend. She called while he sang more songs to the crowd to say that it was the single most incredible gift she’s ever been given! Give Bob a call, you don’t want to pass up his class act--full of originality, sincerity, and fun! 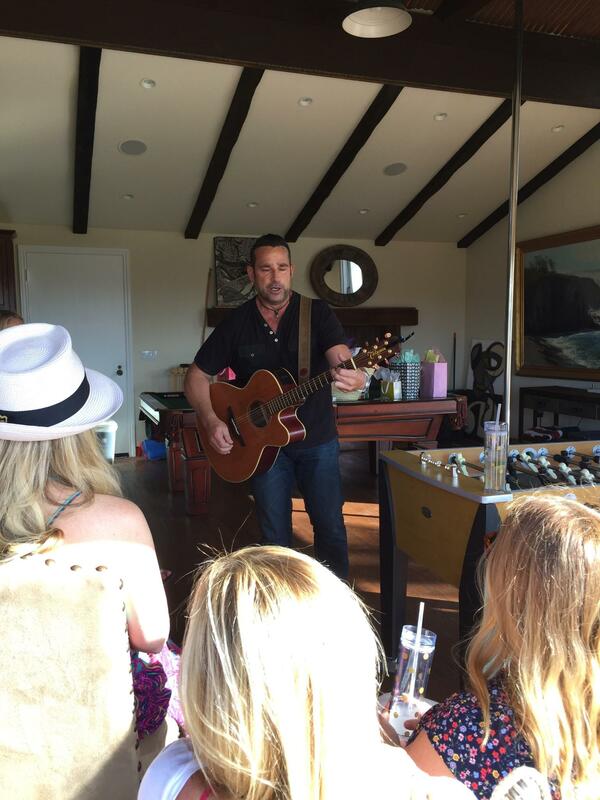 Below is a photo of him singing at her party. Seriously, your search is over!! I honestly cannot say enough about how incredible Bob is! I booked him for my grandparents' funeral, and he was and absolute blessing to us on a difficult day. From the very first contact, he was a joy to talk to, and incredibly prompt in his communications with me. He was super accommodating when I called to talk to him about arranging everything, even suggesting specific songs and sending me links to his performances of said songs so I could give my family an idea of what we were getting with him. On the day of the event, he was prompt -- early even -- and fully reachable by phone any time I had a question. He brought his own sound system (which was even better than the one the funeral home provided for he service lol) and best of all, he was warm and loving, and went above and beyond by helping my grandparents friends to their seats, adjusting the mic of the officiant when it was needed during the service...I mean he just saw what was needed and jumped right in to help any time he could. And of course, most importantly, he is an amazing musician!! His voice is like velvet! It is also deep and resonating, which is great for sound reasons of course. His arrangements of the songs he sang (we asked for several classic hymns -- as the deer, great is thy faithfulness, etc) were lovely and moving. He even memorized he one song my grandma had requested for her funeral on just a few days notice so that he could fit it organically into the service without reading from a page. To say we were satisfied with this wonderful man would be woefully insufficient. He was absolutely a gift from he universe on a very difficult day for us. Thank you, Bob!!!!! Dear Brianna, You just made my day!! Thank you so much. If You're Looking For A Singer, Look No Further. I teamed up with Bob to surprise my sister for her 26th birthday. He showed up to her office Early and owned the room the second he walked in! His performance left my entire family in tears! His passion shines through his work and I could Not have asked for a better birthday surprise! Trust me, I read through all the reviews and have to say they are all Spot On! The Only regret you will have is Passing Up this man’s amazing talent! Wow, Jasmine... After reading this, I will be sleeping like a baby tonight! I'm humbled and overjoyed to read this! Perhaps we will all cross paths again one day. Bob Millspaugh is the Very Best! Bob did an excellent job playing for our church's valentine dinner tonight. He shared stories, interacted with the audience, played some original songs and I was very impressed with his guitar skills. I would recommend him for any occasion. Bob was fantastic to say the least. He arrived early, has and amazing personality. Very easy to communicate with. He went above and beyond expectations. I would hire him again in a heartbeat. He did a great selection of music including some great holiday songs for our company holiday party. Thanks again Bob, you were great. Hey Brian! Thank you so much. What a great Company, as well as party vibe and location! You provided a fantastic setting for me to relax and do what I do best. Christmas blessings to you all! Bob was awesome!! He took the time and effort to connect with our guest of honor in music and song, personalizing the event. He selected songs that connected and hit home. A special touch was the personal birthday song. We loved his music!! Just fabulous Dale! You were all so gracious and appreciative... I will always keep Bud close to my heart. Many blessings to you and your family always! There is a difference between performers who are proficient (or even quite skilled) and those who display true artistry. The former is able to make pleasing music; the latter has the ability to connect with the audience. The difference is an experience rather than a mere recital. Experiences make memories. 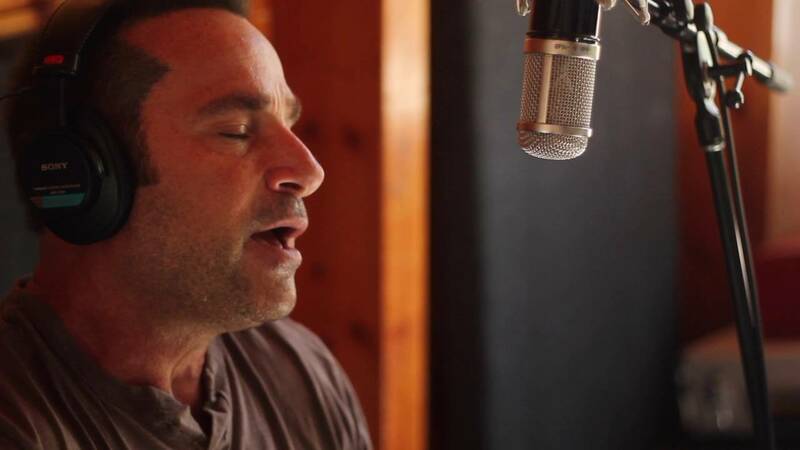 Bob is clearly gifted with a rich voice, versatile repertoire and easy sense of fun and flexibility. (Side note - as one who has done event planning for many years, I really appreciate the unglamorous -yet-invaluable quality of reliability. Nothing is more frustrating than waiting for a late arrival, or having some last-minute cancellation by a flaky performer, or wondering why calls were unreturned. Bob''s punctuality and professional communication removes that burden from a busy host). No matter the nature of your event, you can trust Bob to add luster to your party with his talent and make it an affair to remember! Our residents loved Bob so much the first time that they wanted him to come back and play again! He is professional, has a great personality, lovely voice & guitar playing, engages with the crowd, and is easy to work with. I would highly recommend hiring Bob for any event! Bless you Janna, and thank you!!! Performer With A Special Touch! Bob served as an officiant as well as a singer for a memorial at Fairhaven where I work as a service director and celebrant. He did the opening prayer in addition to singing four songs throughout the service . In addition to his powerful yet comforting vocals I was impressed with how he personalized his presentation. He observed the video presentation and listened to the various stories told by family and friends, and picked up on special qualities of the decedent and talked about them before performing his final songs. He found a way to connect with the family and other attendees by sharing some heartfelt comments that were sincere and meaningful. By doing that he went above and beyond what most musicians, singers etc . do. It was a special touch that got everyone to pay attention and made a positive difference . Much gratitude for your thoughtful Review Jill... I certainly look forward to working with you again! Talk about Fantastic! This was a surprise for my friend for her birthday and everyone else that attended. Bob was very professional; wrote a beautiful and personal birthday song for her. 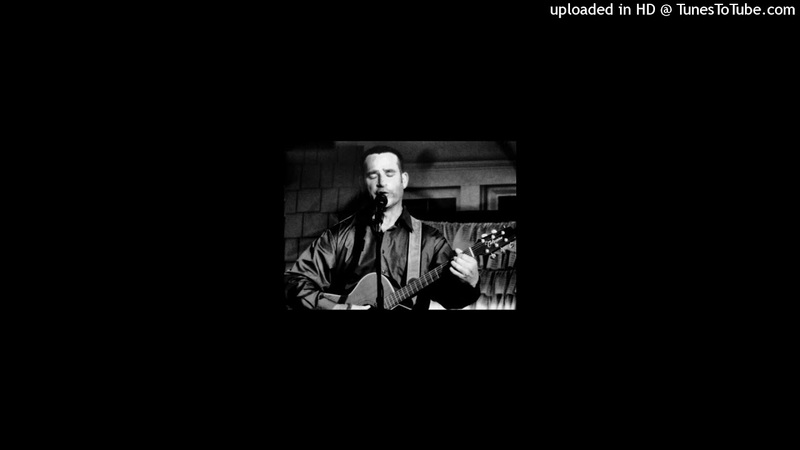 His voice is wonderful and his guitar playing outstanding. Very gracious in every way. He was the Ice Cream on the cake. It made the birthday evening perfect and made an impression and remembrance with all. Hire this gentleman. He truly will exceed your expectations. Truly. Bob, Thank you ever so much. I am so honored to have met you. There was something very unique and special about this evening and event Jo Ann. I am so glad you made me a part of it!! Just so much to say... Thank you!! Bob sang at our outdoor funeral service for my husband. It was beautiful - perfect. I received several comments about how great it was. Prior to the service, Bob and I discussed some songs and one of the songs I mentioned was not on his list. This particular song was perfect for my husband, but I completely understood and chose another song. Even though there was a short time before the service, Bob surprised me by offering to learn the song. Every once in while, there is the rare person that enters our life and gives us the gift of themselves and their heart. I cannot say enough how touched I was by his generosity, kindness, support and talent. Bob did a beautiful job with the song and did two others for the service. He really made it special, comforting and memorable. I hope someday to have Bob sing for us at a happier event. Dear Jennifer, your words have pretty much brought me to tears. Blessings now and always to you and your family. The personal song for the birthday "boy" was the reason for choosing Bob as well as reviewing on Youtube and seeing how good his singing and acoustic guitar playing was. It was a great choice! Thanks Bob! Such a great time Su! What a wonderful Event for honoring your husband. I was so glad to take part in it! Bob is such a professional! He was such a joy to work with. He made our residents at our party feel so special! They are still talking about it. Bob is so good at his job and you can tell he is passionate about what he does. He has a great voice and can sing anything! He is an excellent musician and performer. Our party went overtime and Bob stayed and was even helpful at the event. I have hired a lot of entertainers but Bob is definitely one of the best. I will be booking Bob again in the near future. Thanks Bob and Gig Salad for great service! Thank you Trina! What a great bunch of folks, and what a great job you do also as the Activities Director. Amazing Birthday Performance of a Lifetime! 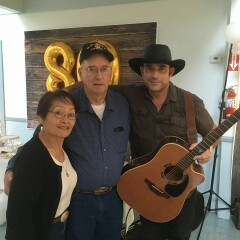 We hired Bob to do a birthday surprise performance for our mother who was turning 65. We wanted it to be a unique and special experience. Bob went above and beyond what we ever expected. He asked for some personal information to make sure he made the performance extra special. Our mother was brought to tears with the unforgettable music that was created just for her. She said it was the best birthday present she has ever received in her life. Thank you Bob for going above and beyond. I highly recommend him for any events. He is extremely talented! I had the privilege of Bob doing a concert at my studio. His voice, guitar and presence made for an evening of comforting and intimate entertainment. The evening of music and ambience was like a big warm hug. Bob was extremely personable. The audience absolutely loves him. Bobs original songs go straight to the heart. And his choice of covers are are always on point. Thank you Bob for your gift of music ! I remember so well the ambiance and the cool style of your venue! Even though there was around 75 people, it felt like a big stylish living room in the Italian countryside somewhere. I am so impressed with Bob! 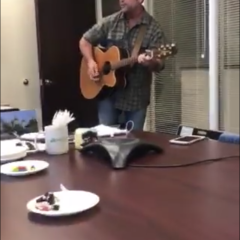 I contacted him only a few hours before I needed him and he was able to write and perform a hilarious surprise birthday song at my husband’s office in front of his colleagues. Everyone really enjoyed it. Not only that but Bob was so easy to work with and was so kind, respectful and easy-going throughout the whole process. I highly recommend Bob for your next event! Bob came to our campfire birthday on the beach. He was warm and friendly. I asked that he sing a song with some personal details and he did an amazing job. He made the occasion so special for my boyfriend. Thank you Shauna... What a special time! Thanks for a stellar performance that literally had the audience on their feet. Looking forward to more fun ahead! Bob exceeded my expectations! He was so professional, pleasant and so VERY TALENTED! He even wrote his own music for the guest of honor and everyone was blown away!! Your search is over! Bob is your guy! Amazing last minute birthday performance! We booked Bob for our friends 30th birthday very last minute. He called to get information about her and made her feel so special! I would recommend him to anyone who wants great entertainment!! THANK YOU BOB! Bob was a fantastic choice for my birthday party. He tailored the song list and even customized the lyrics to make the evening special. He was easy to work with both before and during the party. He really did make the evening memorable for everyone. It was a pure joy! Thank you Beth. I had the pleasure of hearing Bob play at a church right before Christmas and he did an amazing job as always. I first heard Bob when he played at a soup kitchen I volunteer at. He did wonderful there engaging the homeless and many of them voiced their delight at his playing. He has a knack for performing the right music for the right audience and situation. His range of songs is impressive and he can tailor that for any occasion. I highly recommend him if you are in need of a musician. On Saturday nights the Community Bible Church on 6th St in Huntington Beach has an open service with prayer and word and music. The lure of a Christmas program brought me downtown on Dec 23. The evening was absolutely amazing and it was entirely because of the features singer, Bob Millspaugh. Bob played guitar and sang a wonderful list Christmas music. What made the evening so special was the intimate way Bob interacted with the audience. Throughout the night Bob told colorful stories and made very touching tributes to several members of the audience. We all had so much fun singing along with Bob on several of the audience participation songs. The highlight of the evening was clearly Bob’s incredible voice and phenomenal guitar playing. His voice is so strong with a rich timber. He has an unbelievable ability to render a song with power and fullness, then turn around to softly and delicately deliver timeless hymns. He is also an expert guitar player and is just a joy to watch on stage. Bob is the real deal and the full package performer: singer, musician, storyteller. Looking forward to seeing him perform again!!! Incredible Talent and ability to connect! Bob is 100% professional and at the same time connects with a crowd to turn a concert into a intimate evening of great music. It does not matter if Bob is playing one of the songs he wrote or covering someone's music, He makes it his own. He is an amazing guitar player. He is a master at setting a mood for the evening and making you feel like he is performing in your front room among friends. I have had Bob come and do several concerts over the years and the crowd reaction was always the same. they LOVED HIM and HIS MUSIC. It does not matter if he plays Country, Pop, Blues or Gospel his ability to own the song is incredible. Wow Thom... I'm both humbled and overjoyed by your Review! You've always made me feel so welcomed - and a bit like a Rock Star. 😉👍🏼🎸 Blessings to you always. I saw Bob Millspaugh perform at a hip and swank coffee shop in Newport Beach! Place was packed!, Very intimate setting! I was there with a friend and didn’t know what the event was. We were very surprised to see this level of entertainment in a local coffe shop! Bob had a warm delivery, friendly, and sounded like he should be in Nashville performing at a concert venue! I would say his style is a cross between folk, country and Americana. 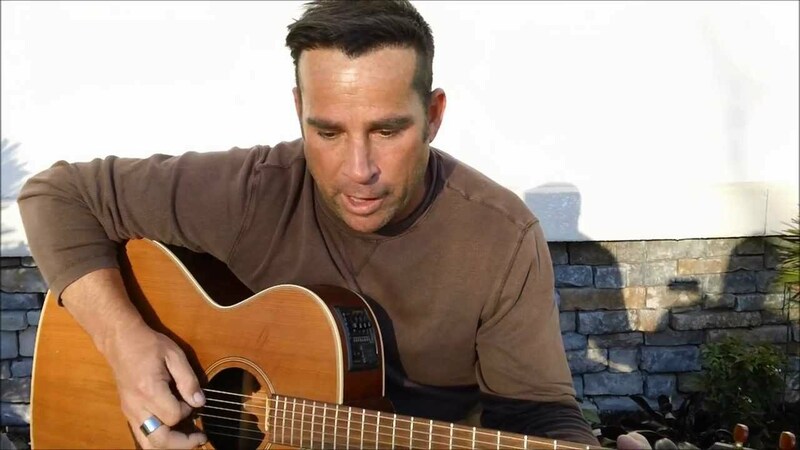 He performed original music as well as classic cover tunes from iconic artists like Johnny Cash, Elvis, Sinatra, James Taylor, and many more! 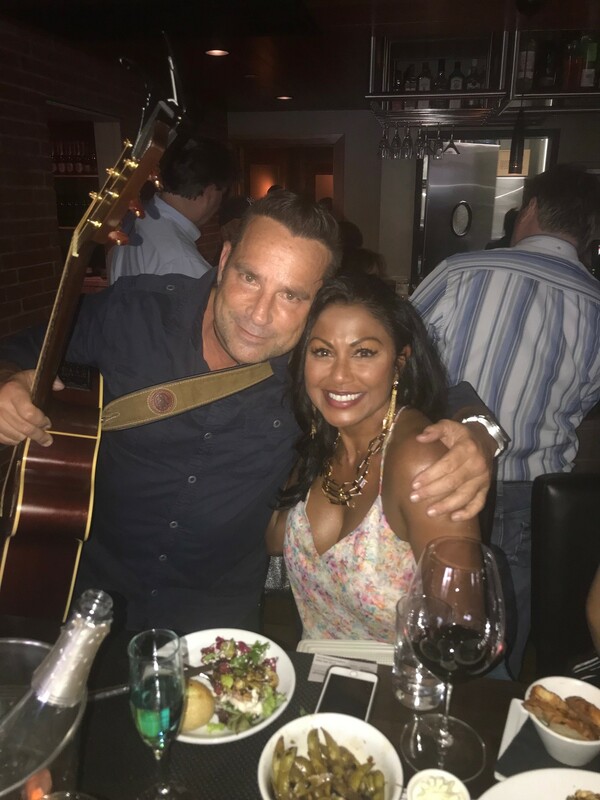 I have an event for our company coming up so I was able to get his contact info through this site and decided to leave a review in the event someone is looking for an all pro entertainer singer guitar player! I would highly recommend Bob Millspaugh for your private party, company event, or at s club concert venue!! Top notch! To say I was impressed ..is an understatement! 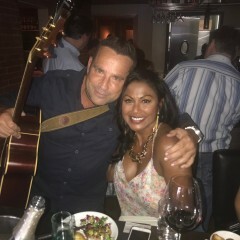 I had the great pleasure of attending an event where Bob Milllspaugh was the entertainment .. and he blew everyone away w/ his rich , deep voice, his awesome skills on the guitar! Not only was his music quite versatile, his charming performance style was a pleasure to behold. Between songs his effortless banter w/ the audience was full of good humor & wit. I highly recommend this excellent musician/raconteur for any of your events. You will not be disappointed! If you want your event to be SPECIAL, book Bob Millspaugh! I'm blessed to serve as a Regional Director for a global ministry. Over the last few years, I've booked Bob on multiple occasions because he consistently delivers exceptional performances. Bob's rich voice is matched only by his amazing skill as a guitarist. He sings with passion that captivates the entire audience. Each time I've booked Bob for an event, I have heard nothing but glowing feedback. He arrives on time, and he understands the need to work within specific time constraints. In addition to being a gifted singer/musician, Bob has a warm personality — making him a joy to know and pleasure to work with. In addition to ministry functions (including a Christmas party and multiple fund raising events), I've also attended a memorial service where Bob provided the music. The wife of one of my dear friends heard Bob perform years earlier, and she kept his business card because she loved his music so much. On the day of the service, I was thrilled when I learned that Bob was there to provide the music. He blessed all in attendance by singing beautifully in both English and Spanish. One of my fondest memories of Bob will always be the day my wife hired him for a surprise birthday party for me. It was an extraordinary night. Having Bob perform a summer concert in my backyard, and being able to enjoy his God-given talent with friends and family members is something I will never forget! I had a Christmas party for about 25 people this year. I wanted to do something special that evening for my guests and Bob was that perfect special something! 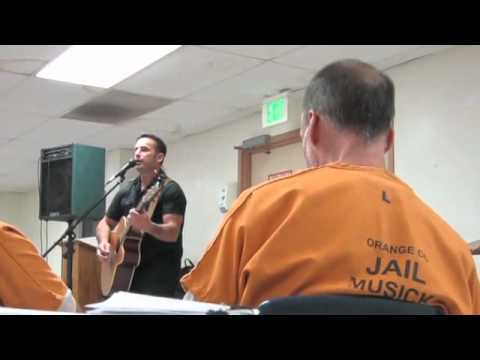 He not only is an amazing singer and musician, but he was able to get everybody involved. We all had a wonderful time listening to Bob sing some special songs and singing along to some Christmas carols. You can’t go wrong having Bob at any event. He is a professional in every sense of the word! Bob was my wedding officiant and he did such a great job at my ceremony. He is very friendly and communicative throughout the planning of my wedding. My family is impressed with Bob and the music that he played at our ceremony. I am very happy that I had Bob as my officiant and I would highly recommend him. We were introduced to Bob by a close friend of mine for the Officiant of our wedding. Bob was fantastic from the first phone call with him through the end of our event! Very professional, personable, he knew exactly what needed to be done, we were very impressed! Thank you Bob for making our ceremony go smoothly, we highly recommend you to anyone needing your services! I'm the minister of a congregation in San Diego. We have asked Bob to come and lead music for us twice in the past few months and he has done a wonderful job both times. He is terrific and engaging! Each time that I've contacted him, he's been a joy to work with. He always has helpful suggestions and is easily accessible. Not only is he a skilled musician, but he's also a very pleasant person to be around. Each time that he's been with us, he's made a special effort to speak with members of the congregation and stayed after worship to get to know them. After the last time he was here, a frequent refrain that I heard was that "we should have him back as often as possible." We love Bob! Thanks, Bob, for your generous spirit and contagious enthusiasm. The way your fellowship cares for its congregation is a role model as to how churches should be! Thank you for allowing me to come and sing. It is always an honor. I hired Bob to entertain for a Country Fall Festival hosted for a memory care community. 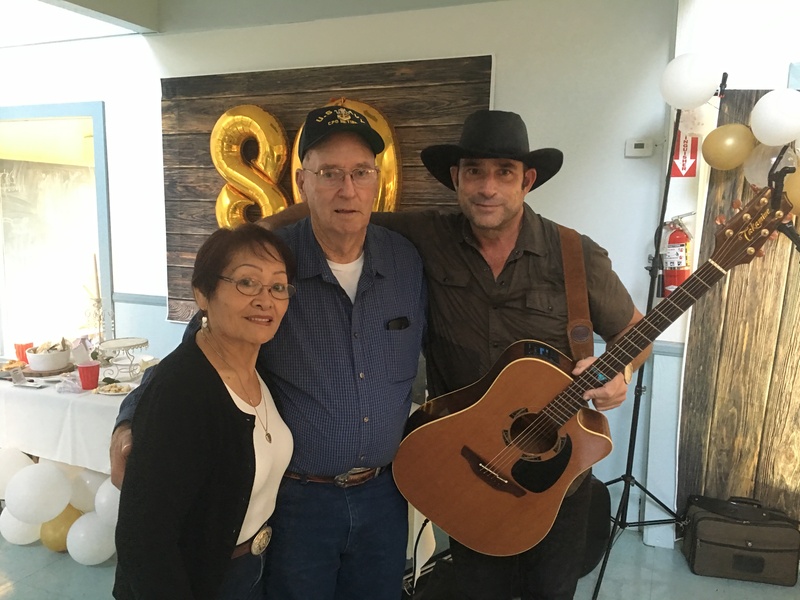 Bob did really well engaging the crowd and helped many of our residents take a trip down memory lane with his classic country songs selection. His voice was as wonderful as his personality. I would definitely book him for a future event at our community and recommend him to anyone looking for some fine entertainment. Thank you Claudia!! What a joy this event was for me too. I wish you the best in all of your future endeavors. Very personable and friendly and great repetoire! Bob performed at the assisted living facility where I work, and did such a great job with music tailored to the elderly population. I am aware he can play different songs as well, but was happy he knows his audience and adapted accordingly. he was on time, personable, and professional. This was for our Country Fair and everybody loved it!! My family threw a fiftieth birthday and surprised me with Bob singing and playing his guitar as the entertainment. He has an exceptional voice and a knack for picking the right songs for the crowd he's playing to. He wrote the cutest birthday song for me and he played Elvis's song," Why do fools fall in love", for my husband and I to dance to:) Would highly recommend Bob for any special occasion!! Thank you Larissa! I can tell Steve loves you a lot, and it was an honor to add a bit to your birthday celebration. My son-in-law hired Bob as a surprise entertainer for my daughter's 50th birthday party. He has a beautiful voice. His selection of songs was perfect for her and the occasion. Definitely recommend! You stood out as a kind and classy Lady Samantha. Thanks for the review! Took a chance and "Scored" by Hiring Bob! I chose Bob because he responded promptly with a reasonable price, then checked out his reviews which spoke favorably, so I took a chance, not knowing him or his music, other than a couple of demo videos I viewed. I spoke with Bob before the event, he asked some questions about my wife who is having her 50th birthday, and he took my answers and wrote an original gently humorous song about my wife which had us all enjoying and laughing while he sang. He even, on the fly, made up a little tune about my son, whose birthday was also happening the same week. He had a great mix of songs. I am not exaggerating when I say that everyone at the party said they loved the singing and how good Bob was. He really takes his time to make sure everyone is having a good time, as far as the music goes! I plan to use Bob in the future, next time we hold an event at our home! Plus, he is just a great guy.... you will realize that the moment you meet him. If I could give him 10 stars, then I would have done so. If you haven't figured it out yet, I highly recommend Bob for your next event! Steve Mushnick - Mission Viejo, CA. Hey Steve, Your event was awesome! Everyone was friendly and the ambiance was mellow. I appreciate your encouraging words too. Bob played for my Wedding on Catalina Island ! Bob was professional in his dedication and dependability. He had to arrange a trip to Catalina Island . He had to set up on a spot that was hard to get to with equipment . He had to coordinate at an unorganized and late starting event.. he stayed calm and took it in stride. He sang really well and brought a great atmosphere. Over the years I have listened to many CD's . I have enjoyed his new songs and the ones he has mastered for years. I have been to his coffee shop, wine bars, churches , missions , and beach side singing events. I think any one would be impressed by Bob. I still feel the presence of God when he worships and his songs resonate a quality , not just of voice and musical ability, but of personal convictions that reveal integrity and kindness. Hey Janet! Going out to the island was an adventure! Thanks for the thoughtful and articulate review. For my 50th birthday party we joked about when the stripper was going to show. As the night went on Bob showed up with his guitar and a happy birthday balloon. As Bob began gathering everyone together we all tried to figure out what was going on. Some joked that "the stripper was here" but Bob just laughed and said that as he sang we'd know why he was here and who sent him. Bob was sent as a birthday gift to deliver a singing telegram!! He serenading me with a personalized greeting from friends who couldn't make the party. He was amazing!! He really captured the crowds attention and was a great entertainer. 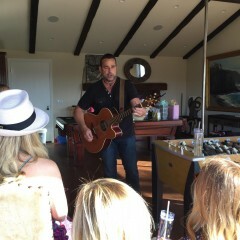 He sang two songs and was the highlight of my party. Thank you for the amazing entertainment!!! Thank you Ann!! What a classy gathering you had too... Quite impressive, and with a mix of very kind people. We hired Bob to sing at a retirement party for our General Manager in Anaheim. We have 110 employees and every single person loved Bob and his music. 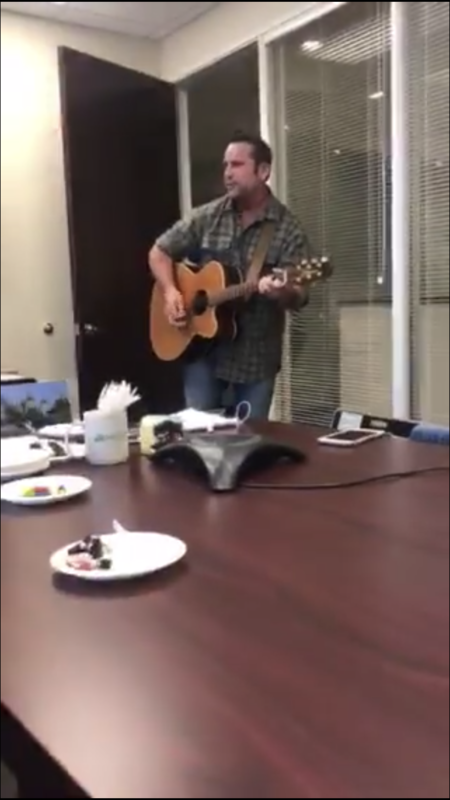 He was very personable in mentioning our retiring boss's name and played the right song for each moment. Bob played a mix of classic country, new country and excellent Johnny Cash music. We can't wait to hire him again and if your planning an occasion, any type if occasion, Bob Millspaugh is the best and a great guy to work with !! What a touching event Ron! It was obvious to me why you all have such a successful company. Thanks for the good vibes and props. We booked Bob for a friends 50th birthday and he was the highlight of the party. I've gotten the most wonderful feedback from all of the guests. We will definitely use Bob again for future occasions. Thanks for taking a chance with me Ken! Bob REALLY ENHANCED MY FATHERS SPECIAL BIRTHDAY CELEBRATION! Bob was hired at the last minute for my Dad's Birthday party. We really enjoyed his warm and gracious personality, he was able to engage the whole party and made everyone feel a part of the celebration. Bob not only has a wonderful voice but is equally talented playing the guitar. Having him play was the highlight of our party and I would HIGHLY recommend him. His professionalism was top notch. Thank you! This was nothing short of a beautiful experience for me too! Thank you so much. I hired this musician for a surprise Mother's Day gift for my sister. She just loved it! She can't stop thanking me. He is so talented and gifted. He did an amazing job. Truly an awesome and caring person and it shows in his performance. He went beyond what was expected and created a song just for her. I highly recommend him to you. You will not regret hiring him! Thank you Joyce!! It truly was a special time. This guy is the real deal and very talented. Looking forward to working with you again Bob! That means more than you know... Thanks Anthony! I exude confidence as a performer and I always seem to make a great connection with the people. I have a way of making others feel at ease because I'm comfortable in my own skin. I'm a man with passion and a love for life. After I graduated from university, I moved to Costa Rica and lived in the mountains for three years, working with kids at a children's home doing sports, music, and whatever else was needed. It was a rich life and I learned so much about love, grace, and compassion. I surf, ride a Harley, and absolutely cherish expressing myself through music. Public speaking is something I also enjoy, and I'm a bit of a storyteller at heart. I have a great little system with a solid sound...I bring all cables, instruments, and anything else I need with me. For small to medium sized groups, my equipment is sufficient. For a group larger, details can be discussed.